Chocolate - who doesn’t love it? Today the world consumes more than 4.5 million tonnes of cacao beans each year, and global retail sales of chocolate topped 98 billion U.S. dollars in 2016. Did you know that 70% of the world’s cacao is grown in Africa, yet Africa produces less than 1% of the world's chocolate? The chocolate we know and love to eat is produced elsewhere in the world using Africa’s raw ingredients. This contradiction and lost economic opportunity has not gone unnoticed by a new generation of women chocolatiers across Africa who are launching great new chocolate brands and products. Their skill, passion and entrepreneurial spirit will hopefully in the near future give rise to exciting new African chocolate brands that will go global. 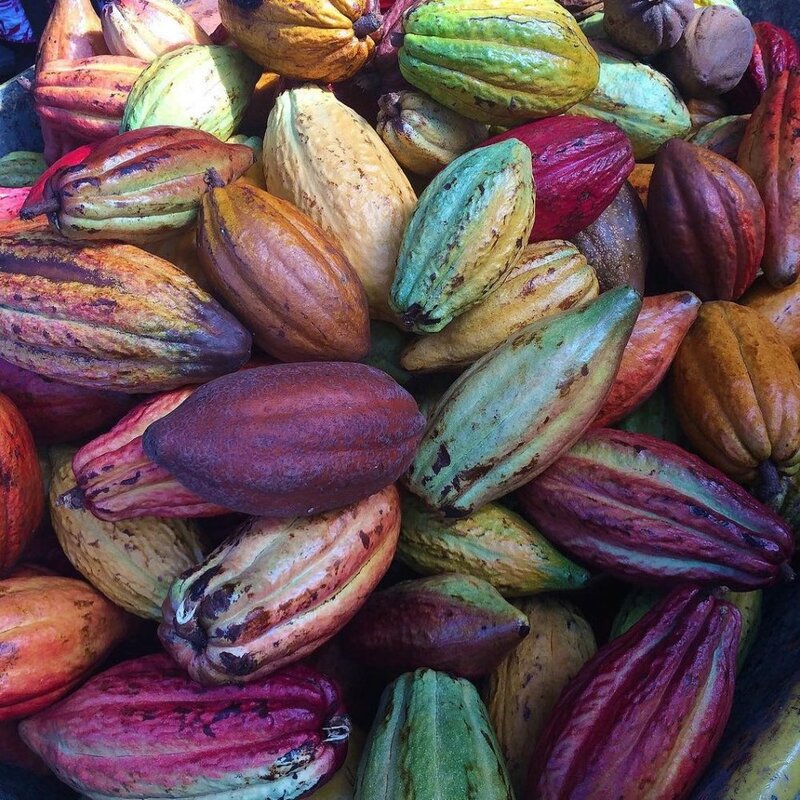 Produced from the seed of the tropical Theobroma cacao tree, cocoa has been cultivated for at least three millennia. This food originated in Mexico, Central and Northern South America and dates back to around 1100 BC when the Aztecs made it into a beverage known as Nahuati or "bitter water" in English. The chocolate-making process remained unchanged for hundreds of years. It wasn't until the Industrial Revolution, when mechanical mills were used to squeeze out cocoa butter which created durable chocolate that significant changes occurred. Whether it’s a beautiful bean-to-bar artisan chocolate slab, or a gloriously scented, hand-decorated truffle, or a lovingly handmade chocolate filled with creamy ganache and flavoured with fresh local African taste sensations. There is no doubt that some of the finest chocolates in the world are now being created right here on the African continent, by passionate artisan producers who are on a mission to present Africa’s renowned cacao in the most refined and delicious forms for the world to enjoy. 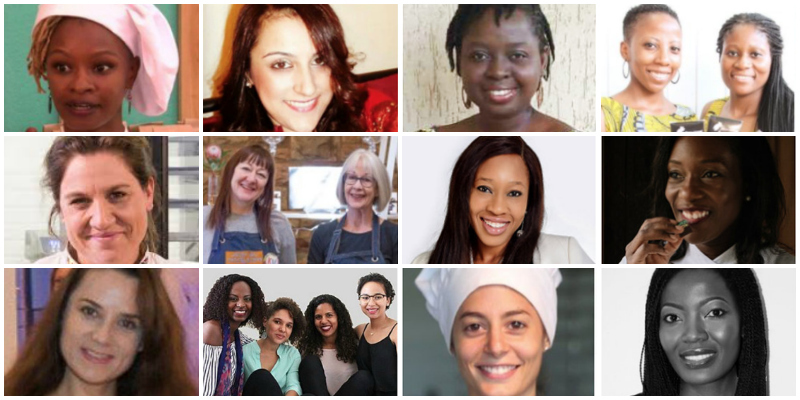 The good news is, there is a new wave of passionate, highly skilled, women entrepreneurs emerging from across the African continent who are building their reputations as some of the most exciting chocolatiers on the planet. They are also building successful companies and brands that are positively contributing to the economic growth and development of their countries, by extending the value chain of the cacao industry through their businesses. Did you know? Here are some interesting facts about chocolate. Meet some of the game-changing women chocolatiers of Africa. In Togo, where 100% of the cacao production has historically been exported, one company is looking to change that narrative and bring new economic hope to the country. ChocoTogo, an inspirational company led by entrepreneur Nathalie Gambah Kpante, is proving that a bean to bar chocolate producing philosophy can bring economic hope and prosperity to a country. On a mission to show the world that quality chocolate can be produced in Ghana where some of the finest cacao beans grow, sisters Kimberly and Priscilla Addison created ’57 Chocolate. This growing business and brand is inspiring not only a generation of aspirant future chocolatiers in the country, but also the tastebuds of the world’s chocolate lovers. Passion is one of the key ingredients to building any successful business and brand. And, in the world of artisan chocolate making, it is one of the Savanna Premium Chocolate brand’s strongest assets, thanks to founders Chiinga Musonda and Lynna Musonda Phiri. Who doesn’t like truffles? Those wonderful, lovingly handcrafted chocolates that melt on the tongue with evocatively scented centres that tease the tastebuds. One company taking the truffle to whole new levels is entrepreneur and chocolatier, Selassie Atadika, founder of Midunu Chocolates in Ghana. Côte d’Ivoire is renowned for the quality of its cocoa beans, but up until now, the world has not had the opportunity to widely celebrate those beans in the finest of chocolate forms. But that is rapidly changing as Ivorian artisan chocolatier Dana Mroueh and her company, MonChoco, are producing a very special raw chocolate brand and range of products that is exciting taste buds in the country. Across Africa, more and more women entrepreneurs are becoming aware of the need to add value locally when it comes to making world class chocolate using Africa’s abundent cocoa resources. One entrepreneur in Nigeria who is part of this vanguard of African women chocolatiers, Oluwafemi Oyedipe, founder of LoshesChocolate, is doing just that with her bean-to-bar philosophy of chocolate making. Many successful businesses are inspired by a combination of passion and friendship. That is certainly the case with Kakawa Chocolates, a Mozambican company that is winning a passionate following of chocolate lovers in the country. For many consumers today, understanding and appreciating the provenance of the food we eat is increasingly important and part of the buying decision-making process. Therefore, for lovers of artisanal chocolate with a farm to table story, the team behind The Chocolatiers has a great story to tell. For the many people who long for the wonderful taste of chocolate but their dietary regimes mean it is not an option, Kenyan entrepreneur Jazeera Suwani, founder of Say it with Chocolate, has the answer. She has created a business making fabulous handmade chocolates that specifically cater for those who are lactose intolerant or vegan. Chocolate lovers who are on the look out for high quality chocolates that are produced using the finest ingredients and that are also gluten free, have found a champion in Sanja Hanekom, the founder of Noir Chocolates SA. She is creating delicious chocolate gifting ideas for individuals and corporates alike. For all true chocolate lovers out there who are constantly on the search for the purest of taste sensations and the highest quality ingredients, there is a new, proudly African brand that is getting people talking. Chocoloza, the brainchild of entrepreneur and passionate chocolatier, Vicki Bain, combines the best Belgian chocolate with the finest local, fresh African ingredients. The result is a taste sensation unlike anything else you will taste in the chocolate world. With the launch of the #Choose Artisan campaign recently, the spotlight has been shining firmly on those women artisans in Africa who are creating world-class luxury products right here on the continent. Chocolate Mamas Gourmet Tanzanian Chocolate Company is an entrepreneurial startup making real waves in the luxury artisan chocolate space in Africa, and its co-founder, Jaki Kweka, has big ambitions for the brand going forward.